The HG4930 is designed to meet the motion sensing needs of a range of applications across various markets. Photo courtesy of Honeywell Aerospace. 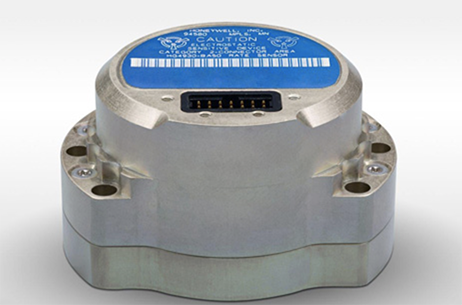 Long established as a key component within defense applications, navigation technology from Honeywell is now available to a wide range of new industries that can benefit from the advanced precision and performance of reliable, rugged and easy-to-install Inertial Measurement Units (IMUs). Since the mid-1990s, Honeywell has pioneered the development of IMUs and most recently launched the next phase in that technology’s growth — the HG4930. Honeywell’s newest offering applies the principles of reliability, dependability and performance from aerospace and defense, and tailors it for "straight out of the factory" integration and use in various nondefense and nonaerospace industrial applications, according to the company. These applications include autonomous vehicles, surveying and mapping, ground and underwater robotics, unmanned aerial vehicles, and gimbal stabilization. IMUs are extremely valuable tools that help people, vehicles and machines measure motion and calculate changes in position, anywhere in the world, even where global positioning system (GPS) signals are intermittent. In industries where automation is taking hold and working conditions where GPS may be out of touch, an IMU can help fill in the moments of disconnect and keep things like an autonomous underwater vehicle or a robot in a factory informed about how they are moving relative to their surroundings. "For more than a decade, we’ve designed our IMUs to perform in the extremely harsh and demanding environments for our aerospace and defense customers. But there is no shortage of possibilities for how that same IMU technology can support a wealth of markets hungry for the next level of enhanced navigation and control," said Chris Lund, senior director, Industrial IMUs, Honeywell Aerospace. "The HG4930 tactical grade IMU is a highly competitive and cost-efficient variant of our industry-leading navigation technology. Whether helping your industry evolve toward autonomy or augmenting a platform or solution’s precision in domains where GPS is unreliable, the HG4930 delivers the needed performance." In addition to the HG4930 IMU being an “extremely small, lightweight and low-power product ideal for spearheading new uses or bolstering current navigation capabilities”, Honeywell’s HG4930 IMU is not classified under an International Traffic in Arms Regulation category, but instead is free from the burden of an export license for all but a few military-related use cases. This means a broader availability for customers around the world, Honeywell stated. With more than 500,000 tactical grade IMUs produced to date, the HG4930 builds on a proven Honeywell legacy of reliable inertial technologies. It is the highest-performing microelectromechanical system (MEMS)-based IMU of its size and price, and benefits from world-class inertial sensor development, calibration and compensation. The HG4930 has been tailored to provide significantly improved gyroscope and accelerometer performance for the environments and use cases experienced by nonaerospace and nondefense users. So, for industries that currently depend on less reliable MEMS or large, power hungry and more expensive fiber-optic gyroscopes for navigation and control capabilities, the HG4930 offers three off-the-shelf performance grades for easy replacement and new capability. The HG4930 is designed to meet the motion sensing needs of a range of applications across various markets. It includes gyroscopes and accelerometers as well as employs an internal environmental isolation system to attenuate unwanted inputs commonly encountered in real world applications. The internal isolation and other proprietary design features ensure the HG4930 is rugged enough to meet the needs of the most demanding users, according to the company.